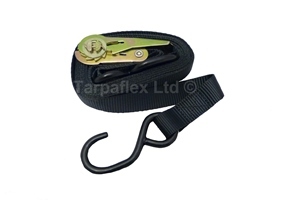 Ratchets are an effective means of tying down and securing loads, and are popular for use on trailers, boats and roof racks, with a huge number of uses in both domestic and commercial situations. 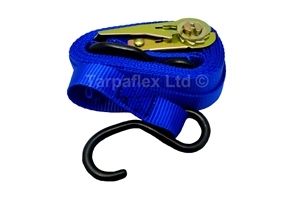 These straps can also be used in conjunction with your tarpaulin as a lashing device. 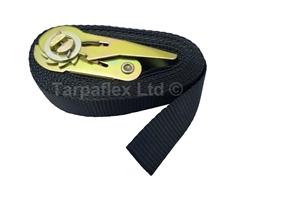 Please note: we do not recommend that excessive force or pressure is applied to eyelets as this may cause them to pull out. 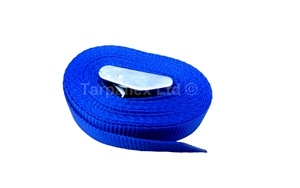 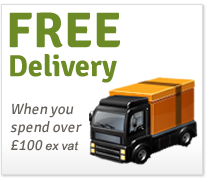 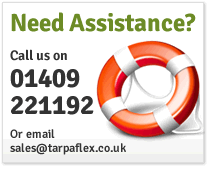 For tips on securing your tarpaulin click here. 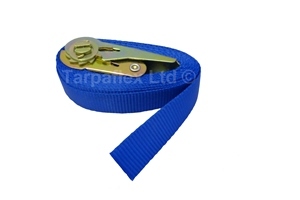 Our Ratchets are 25mm wide and 4m in length. 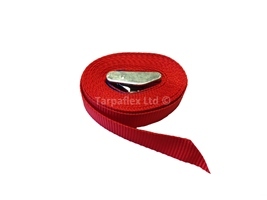 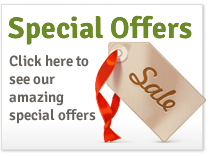 They are made from a durable British-manufactured polyester webbing, a superior and more hardwearing product to other polypropylene versions available. 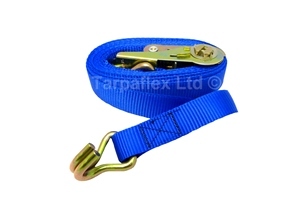 Another advantage of this polyester webbing is that it has been treated with disperse dye, meaning that if the ratchet strap gets wet you don't run the risk of leaving marks on the cargo you are covering. 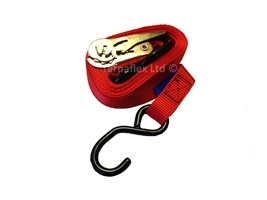 The ratchet handles are made from pressed steel which is then yellow zinc plated. 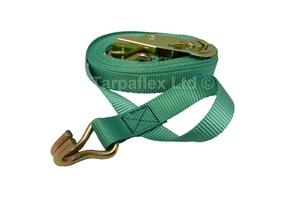 The cam buckles are cast metal. 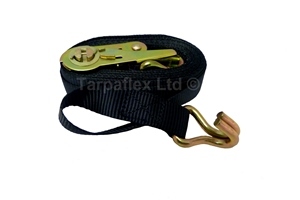 All of our Ratchet Straps conform fully to British Standard EN12195-2. 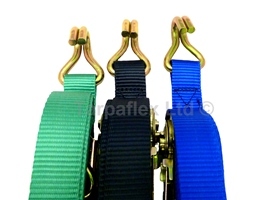 Please note: these ratchet straps are not to be used for lifting.